Butcher’s Broom (ruscus aculeatus) is supplemented for its circulation improving benefits. Its steroidal saponins are said to improve strength and tone of veins. Butcher’s Broom (ruscus aculeatus) is a small-leafed evergreen bush native to Mediterranean region. The roots of this herb contain medicinal and antibacterial properties said to improve blood flow in veins and treat Chronic Venous Insufficiency. Butcher’s broom contains Steroidal saponins which are thought to be responsible for this herbs medicinal properties. These constituents are said to improve strength and tone of veins, protecting arteries and improving varicose veins. 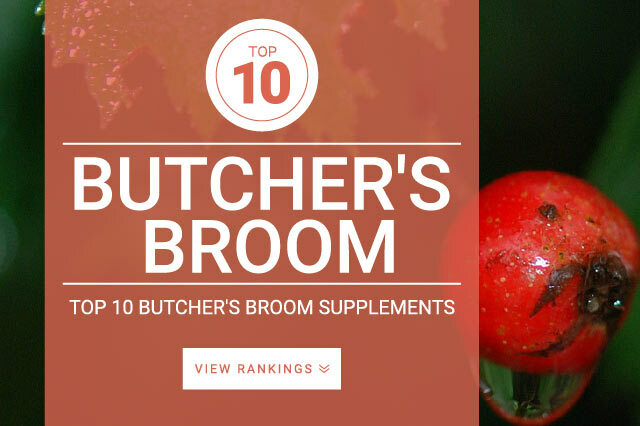 Studies show that Butcher’s broom extracts act as a mild anti-inflammatory. Standard butcher’s broom extracts, in the amount of 1,000 mg three times per day. Standardized extracts containing 9–11% ruscogenins can be taken in the amount of 100 mg three times per day.